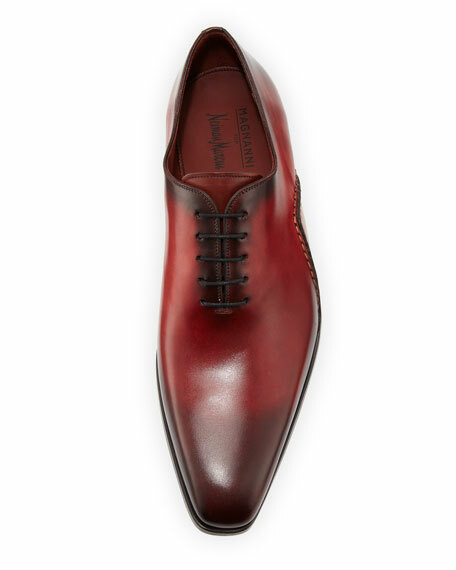 Magnanni for Neiman Marcus loafer in two-tone calf leather with sole stitch detail. 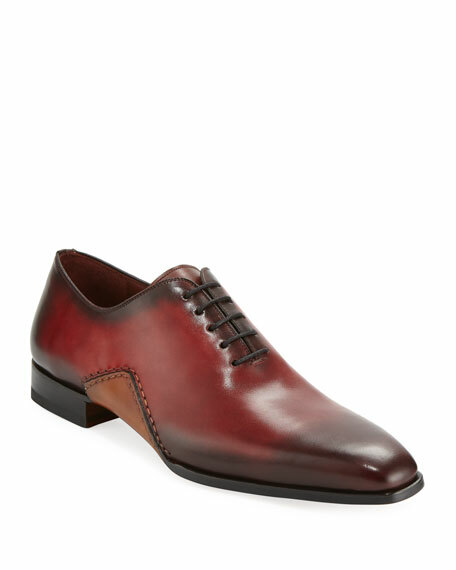 Corthay "Arca" shoe in calf leather with red piping. Includes two pairs of shoe laces in black and red. 1"